If you're after economy, the default choice needn't be to choose a diesel. This is especially true for drivers who only cover small distances or do lots of short journeys. We've analysed our data from Real MPG to find which current petrol cars are the best when it comes to returning real life fuel economy. All these figures are taken from June 2018 - but Real MPG is a live datatbase - so will change over time. We also used a cut off of at least 50 submissions. 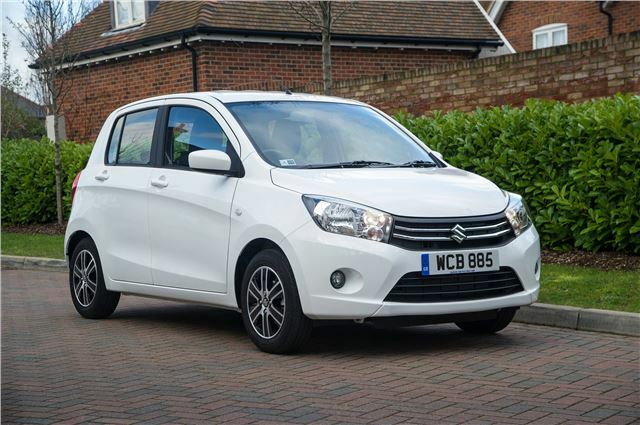 It might not be the most exhilarating of drives, but no other petrol car can come close to the Suzuki Celerio for real world fuel economy. Indeed, according to Real MPG submissions, the peppy 1.0-litre petrol returns 94 per cent of its advertised economy, which equates to a superb 61.9mpg. Opt for the automatic and that figure rises to almost 64mpg. These are all small cars which are better suited to petrol anyway. When you need a proper car to hold four of five persons and luggage you will be looking for a diesel. How many vans are petrol- the VW I know but only used really in cities to avoid pollution charge. Show me a petrol 44 tonne lorry. I recommended a Mercedes Benz Service Centre at Orpington in Kent being one of the best garages in the South East of England. Despite being fully equipped and with fully trained and very well behaved technicians it is now closed. They used to do a superb job of servicing, MOT and repairs we in Orpington are now left with no facilities for our Mercedes Benz cars at all. I have a 2 litre Mazda 3 fastback and, doing mostly short journeys of about three miles, I easily achieve 44 mpg and you still have the space, comfort and power when required. My Dacia 0.9 has returned 48 mpg in summer and 39mpg in winter conditions. (digital readout) even allowing for the discrepency of the readout, both good figures. I own a Mazda 2 1.5 sky active that averages 48mpg around the Devon black down hills and a bit of motorway driving. But real world is stated in the low 50s although it’s not on the top 10 list? Hi I have a 2008 Toyota Estima Hybrid. It has the 2.4 petrol motor . The best I get is 35mpg. Have tried it many times. Mostly open road driving with a 100kph limit then a bit of town with 50k limit. Love the car but so much for Hybrid.